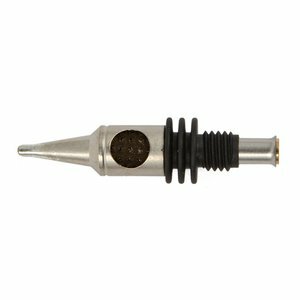 Goot GP-101T-2.4C soldering iron tip has a copper base and antistick stainless collar. Soldering iron tip has a one side cut and 2,4 mm tip. Take off a heater collar.